This patient was left with 2 broken teeth after an accident. We hope you agree we achieved fantastic finished results. In this case we were able to reconstruct the front teeth with white filling material. 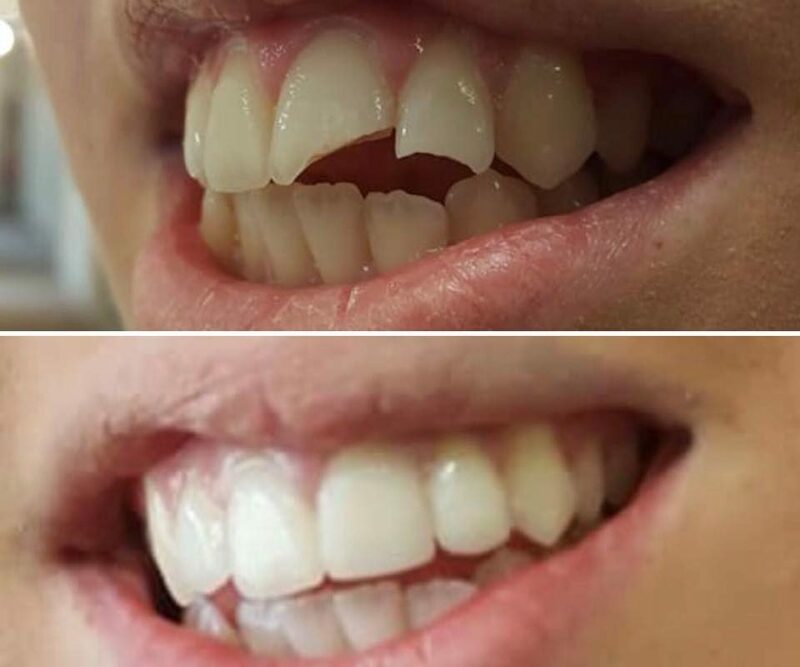 Bringing that beautiful smile back to life. It is always important to be seen by a dentist as soon as possible, in the unfortunate event of an accident where your teeth get knocked or broken. Trauma to the teeth (even if they aren’t visibly broken) can still develop underlying problems. In worse case scenarios the tooth can die off resulting in needing Root Canal Treatment. Don’t worry this isn’t always needed, but a good reason why you should get them checked.